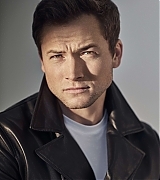 Taron Egerton Online | Taron-Egerton.Com Page 3 – Taron Egerton Online | Your Premiere Source on Taron Egerton Since 2014! 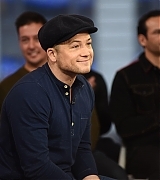 Earlier today, Taron appeared on Good Morning America to talk about Robin Hood which is in theaters on November 21st! View the interview & pictures below! 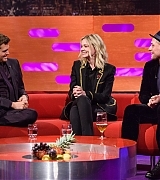 Earlier today, Taron appeared on The Graham Norton Show to promote Robin Hood. The episode will be premiering on Friday on BBC One. 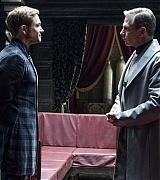 Comicbook.com – The first two Kingsman movies from Matthew Vaughn and Fox have focused on the adventures of outcast-turned-super spy Eggsy, played by Taron Egerton. However, the upcoming third film in the franchise won’t be following suit, and Egerton will not be involved. During an interview with Yahoo! 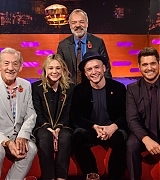 Movies UK ahead of his new film, Robin Hood, Egerton was asked about the third Kingsman movie, which was already reported to be a prequel to the first two. The actor quickly confirmed that Eggsy would be sitting this installment out. While this may be disappointing to the fans of the franchise, Egerton goes on to explain that he isn’t done with the franchise for good. He and Vaughn still continue to talk about the future of Kingsman, and he plans on portraying the character of Eggsy again, it’s just that this new movie tells a different story in the Kingsman universe. Egerton finished by saying that Vaughn had told him the plan for the third movie, and that it was a very exciting premise, despite the lack of Eggsy. Early reports regarding the new Kingsman film say that it will take place during World War I and that Ralph Fiennes will take on the lead role. This will likely help explain more about the Kingsman organization itself. Still, as great as all this sounds, it won’t quite feel the same without Eggsy around. Egerton has exploded onto the scene since the first Kingsman film was released, and he’s nabbed a few major roles as of late. After his turn as Robin Hood later this month, the actor will portray music icon Elton John in the 2019 biopic Rocketman. A new set of movie stills from Robin Hood have been added to the gallery. Robin Hood will be in theaters November 21st! Deadline: A Private War star Rosamund Pike, Doctor Who’s Peter Capaldi, Crazy Rich Asians’Gemma Chan and Kingsman’s Taron Egerton have joined the voice cast of the BBC and Netflix’s adaptation of Watership Down. 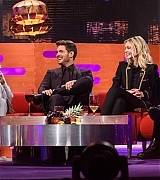 It comes as the first images of the show are revealed. The quartet join the likes of James McAvoy, Daniel Kaluuya, Nicholas Hoult, Ben Kingsley, John Boyega and Gemma Arterton, which is produced by 42 and Biscuit Entertainment. Pike will play The Black Rabbit Of Inlé, Capaldi plays seagull Kehaar, Egerton joins as El-Ahrairah and Chan plays Dewdrop. Elsewhere, Miles Jupp, Freddie Fox, Mackenzie Crook, Olivia Colman, Anne-Marie Duff, Rory Kinnear, Tom Wilkinson, Jason Watkins, Craig Parkinson, Henry Goodman, Lee Ingleby, Charlotte Spencer and Daniel Rigby round out the A-list cast. Adapted for the screen by Tom Bidwell (My Mad Fat Diary), Watership Down uses Richard Adams’ bestselling novel as its source to bring a new interpretation to the beloved story. Set in the idyllic rural landscape of southern England, this tale of adventure, courage and survival follows a band of rabbits on their flight from the intrusion of man and the certain destruction of their home. Led by a stout-hearted pair of brothers, they journey forth from their native Sandleford Warren through the harrowing trials posed by predators and adversaries, towards a promised land and a more perfect society. It will as two special feature length episodes on BBC One at Christmas and will run globally on Netflix. Executive producers are Rory Aitken, Josh Varney, Ben Pugh and Eleanor Moran for 42; Noam Murro for Biscuit Entertainment; Martin Rosen; and Ben Irving for BBC One. The series is co-directed by Alan Short and Seamus Malone and produced by Georgia Dussaud and Cecil Kramer. British pop star Sam Smith has also written an original song – Fire on Fire – that will serve as the theme tune. 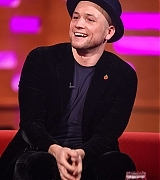 It was co-written with Steve Mac and was recorded with the BBC Concert Orchestra at London’s Abbey Road Studios in September 2018.